I believe there is a generation of leaders arising who have been so shaken in their own lives that they will shake the world. Their eyes will no more be on the people, or on perception, for the fear of man has been put to death. It is a generation of leaders, young and old, female and male, shaped and scarred – who are now beginning to realize their grace for this time. In Acts 4:29-34 we read of a room that was shaken, so that those within it could be sent. Shaking precedes sending. New, and renewed, shaken leaders are arising to join the Lord in a new way. Jesus knows a way to lead us through such narrow paths, and the shaken process we have endured will empower us to thrive there with Him, where the world is waiting for those who will show them Jesus through the love-filled scars of how God intimately met them in their own journey. We must be leaders not focused on what we are doing, but so focused on what the Father is doing that we change the world’s perception of Who He is. We have been shaken with purpose, so we will be Jesus to the world. These are leaders who are shaken from the governing of human perception and results oriented security, whose vision is fixed instead upon the Presence of heavenly reality. They are leaders who unite the most differing opinions not just because of their ability or negotiations, but because of their undying focus upon their First Love. They do not lead people together in their doctrine or opinions; they lead people directly to the Lord where all can be found together united by the beats of His heart for His people. The world needs to taste of the grace that has been poured into our shaken places. God’s grace is the definition of perfection in this world, so being shaken makes you fertile soil for Jesus to be revealed. These will not just be listened to for their leadership but will be followed because of the First Love whom they won’t compromise in following. He is their Vision! They will teach the world a new way – and show us the contagious life of First Love leadership. To not be moved by the world, we have to be shaken from past mindsets of the world. 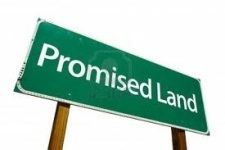 New requires a process, where the promises we often wait for are mined like diamonds. When Joshua led the Israelites across the Jordan River, it was only his generation that he led. The previous generation died in the wilderness. They would not let themselves be shaken from their old vision or past mindsets to join the Lord in a new way. My question is this: What if two generations had crossed over instead of one? What if two generations had taken possession of their Promised Land? What if it wasn’t just the new, but also the renewed? What if two generations had taken this new ground, been fruitful, and multiplied? Imagine how much more life would have been born of the Lord! It’s not just about the “new,” but like Jesus, it’s about the new that comes to fulfill the old. Jesus did not come to destroy the old law but to fulfill it! The old was made new, which set the stage for widespread multiplication. To those who have been shaken, consider Job who experienced a latter part of his life that was more blessed than the first, he truly experienced a “latter rain” (Joel 2). We can focus on the loss the shaking has caused or, we can see it as a precursor for even greater grace revealed. I hear a call to rise up with expectation, not away from our wilderness but because of it. In God’s upside down Kingdom, the wilderness of shaking is actually chosen fertile ground for next season’s multiplication! Similar to what Peter said above, gird up the loins and old ways of your mind, and believe in the grace that is being brought to you. Are you one of these shaken leaders God has called upon – now unmoved on the inside so you can transform culture on the outside? That is what our wilderness season’s offer, for us to demand a profit from our trials that we can spend on the world. Let them become a wilderness of oneness, pressed to the heart of God and like a butterfly from a cocoon ready to launch out into the new. The world may have brought shaking upon you, but God will use that shaking to reveal Himself through you to the world! To those who have been shaken during this past season of life, I want to honor you. You have been chosen. I believe the latter part of your lives will be more blessed than the former. You have been in a wilderness of oneness and prepared for launch. You will not only see what you lost restored, you will see it restored abundantly, and a new kind of multiplication will spring forth. Profit from the wilderness process with even greater focus on your First Love and step forward into the river Jordan. Your shaking has made you a new breed of leader who has abandoned the pressures of perception and expectation to live out a culture of leadership that Jesus Himself has set the course. The world around you is not just waiting for a new, great ministry; they are waiting for Christ in you, the hope of glory! You are part of a new breed of leaders who will not be moved by pressure, but who will move many others by your unearthly passion and enduring love. 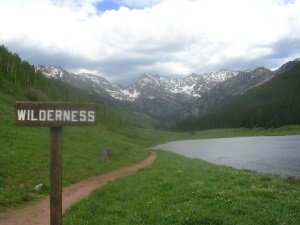 The grace you receive into these wilderness places will be the grace the world tastes from your life, so rejoice! Your past season may have felt like a wilderness, but to God, it’s now a harvest field of promises that He wants to reveal through you to the world. I can only imagine what would have happened had two generations crossed over the Jordan into the Promised Land, but I believe we are about to find out. Shaken leaders arise! Joey LeTourneau, his wife Destiny, and their four daughters live near Denver, Colorado. They travel extensively, empowering the Body of Christ to draw near to their First Love and live out the life-giving testimony of Jesus to the world around them. They desire to see the Father’s heart fully revealed to the world, and through such see a multiplication of life so abundant the whole world will know the true nature of our Father! Joey has authored two books, Revolutionary Freedom, and his new release, The Life Giver.